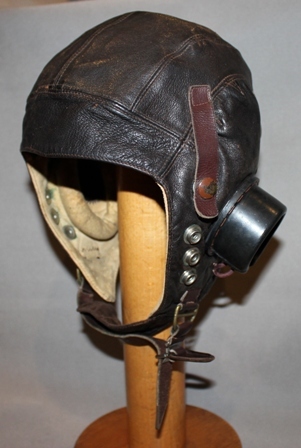 I recently picked up this early (has leather chinstrap with Bennett buckle) type C leather flying helmet. It's named inside to F/O Arnett who flew with 436 Sqn in SE Asia. 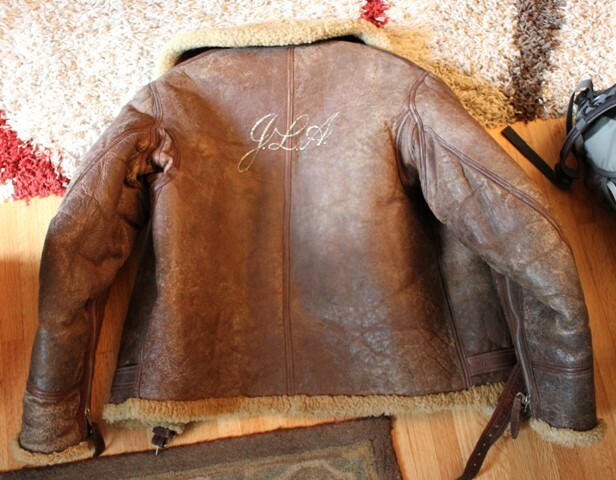 The seller also has the leather flight jacket for the same officer and it has his initials painted on the back (JLA) but I have not committed to purchasing this... yet. Turns out that Arnett, who at the time was a Flight Sergeant, was one of only 40 Canadians to be awarded the Air Force Medal. My question is, how much of an effect does this rare distinction have on the value of these items? Hi Steve, It certainly adds value to the artifacts. The question is how much? Irvin jackests are very hard to find at any time, and one with provenance is rare. The condition looks great, as these coats can dry out and crack. Yes, this jacket is in nice, useable condition. The sheepskin lining is still intact and is not thinning like you see on many of these. The condition is certainly a positive point. It sure would be a shame. The AFM is much rarer then even the DFC or AFC and it would be great to be able to keep this pilot's story alive. I'm afraid that if someone else buys the jacket that they won't know who it belonged to and the provenance will be lost forever.